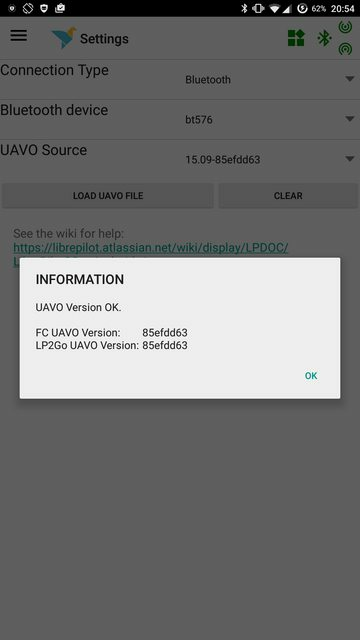 I am curious, but there is nothing about the android version "LibrePilot2Go" , this is not the right place ? 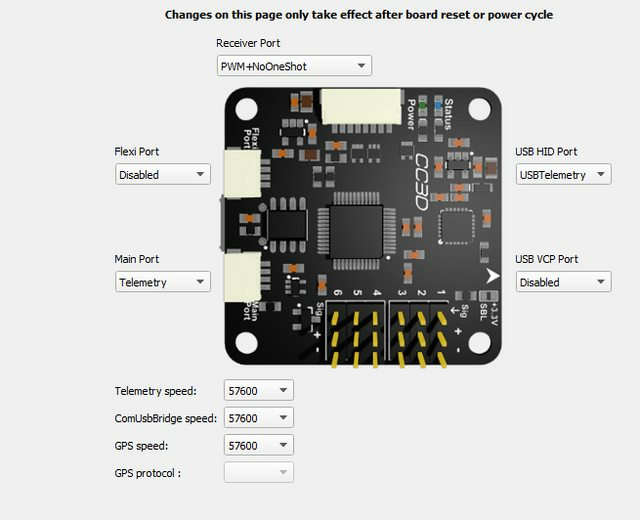 Re: What about LibrePilot2Go ? It's pretty much alive, but yet in a preview alpha stage. If you want to test it, just drop me a PM. UAV browser gives access to all objects, so even things that don't have GUI yet can be changed. Admirations for the application! Very poweful and useful tool, and with a lot of potential for improvement! Not sure if here is the right place to give a suggestion?! While testing alpha & beta releases I found a problem with logging. It works OK while phone is alive and the application stays on the Logs page. But when the user changes to other page, Map or Health, or whatsoever, the logging stops. The same happens if the phone goes to sleep. The telemetry logs are valuable and using the smartphone as an alternative to the laptop for a reliable logging is very convenient. I think the correct behaviour shoud be: once started, logging must work till stopped manually by user or data link or application being interrupted/terminated. Yes, you are correct, logging is at the moment only running while you are on the Logs page. In one of the next versions, this will be extended, so the logs just run while the app is running. A background service will be added later. because Android just suspends normal apps once they are not visible. I'm trying to get this working, I have a confirmed bluetooth link (I can type back and forwards to my phone when I set main & vcp to commbridge, so everythings wired up properly)... when I set main to telemetry I get nothing but errors "uavo problem... fc uavo version 00000000 lp2go uavo version 84efdd63"
Can you post your Hardware config in gcs? 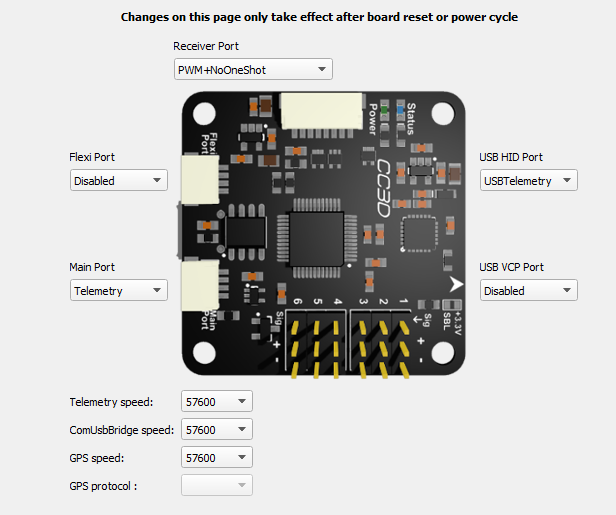 What speed is your BT module? I've a hc-05 and running at 57600 (which works, I can dump text back and forward via combridge all day with no errors or pauses). You can try to reduce the telemetry speed to 38400, I sometimes that helps. Please also make sure that you do not connect USB at the same time when you want to receive bluetooth data. Is there a way to do mag calibration with lp2go? would be really nice if i could calibrate in the open without having to take my win laptop..
Marcus is working on it AFAIK, there is compass calibration branch in his repo. Only visualization so far for real-time Mag calibration which I think he is aiming for. It would be slightly better than what GCS currently has. Can compass calibration not be performed through "objects"? No, it is implemented in GCS (offline). Ellipsoid fitting and then coefficients are calculated and saved. UAV objects just allow to view/edit those coefficients afaik, but they must be calculated based on samples. Also samples must cover whole sphere without outliers... I don't know more details. Well, If you want to jot down 500+ magnetometer samples and perform an ellipsoid fit on those samples, you can enter the offsets resulting via the object browser. No, you need some computer to do the above. But I am indeed working on it at the moment. The app already receives the samples and performs the fit. It has to write the offsets yet, and then I have to make it pretty. If you want "early access", consider applying for the alpha test (see the wiki for details).